For the majority of people who like to hike on weekends, or in their spare time, hiking anywhere in the American West in the month of May requires two additional considerations. There is typically still a residual snowpack at higher elevations. 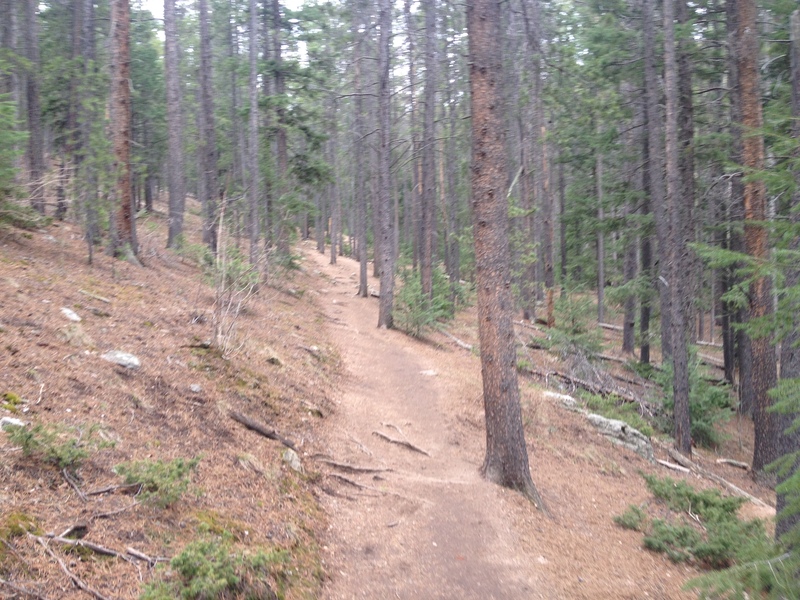 While this can vary quite a bit from year to year and even day to day, even on a warm, sunny day, those that don’t want to encounter slippery conditions or deep snow covering the trails should generally stick to lower elevations. In Colorado, that generally means below 9500 feet in elevation. Although everyone’s body behaves differently, most people still respect the seasonality of the activities they take part in, hiking less frequently in winter than in summer. Therefore, most people still need to, in some way, work up to the most challenging hikes they will take on later in the summer. 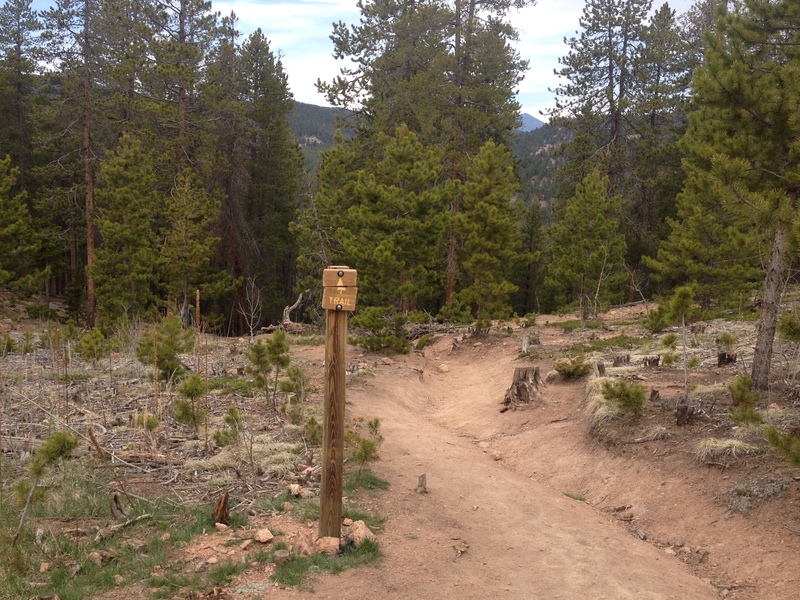 Tucked away in the Poudre Canyon 15 miles West of Fort Collins, Colorado (which is an hour north of Denver), the Greyrock Trailhead starts at an elevation of roughly 5600 feet. The hike to the top of Greyrock Mountain, on the most direct path is 3.1 miles, with an elevation gain right around 2000 feet. For those who spent their winters either sedentary or on unrelated activities, and maybe have done two or three hikes thus far in the spring, it is strenuous enough to help get the body back into summer mode. And, topping out at 7600 feet, it remains well below the elevations where residual snowpack and large amounts of mud would still be present on a sunny day in May. Of course, many people are aware of these seasonal considerations. Therefore, the area does get busier than usual, particularly if it is a nice day and/or on the weekend. Still, there is plenty of quiet to be found on this appropriately named mountain, just not the level of solitude one would expect on, say, a remote backpacking trip. 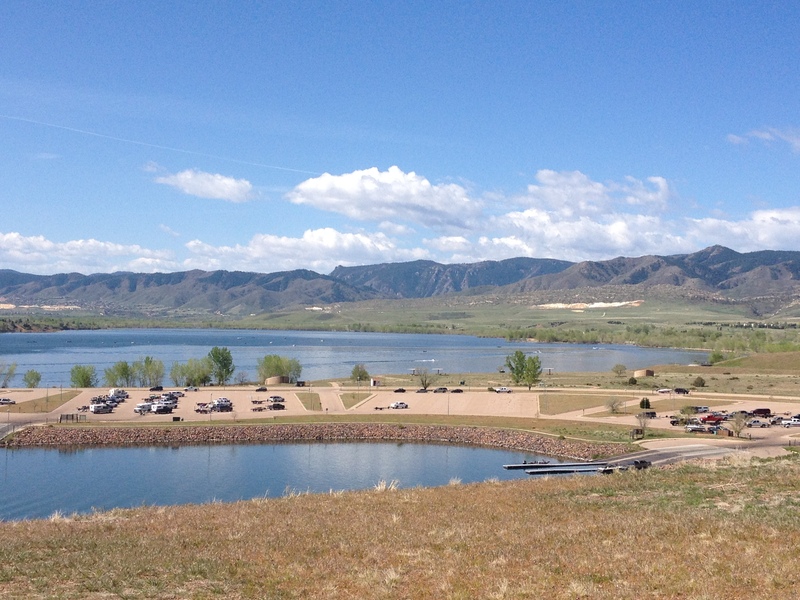 On the 13th of May 2017, a dry day in which Fort Collins reached a high temperature of 85F (and was preceded by two dry days) nearly all of the trail was dry. It was only in certain sections, close to streams, where mud would appear. These sections got interesting, as groups of butterflies, both red and blue, would loop around the sky, periodically congregating in and around areas of standing water. The blue butterflies are actually extremely well camouflaged, only showing their color when the wings are flapped open. A closer look at the muddy surface reveals dozens of these butterflies nearly completely blended into the muddy surface, something many hikers don’t even notice! Roughly 2/3 of the way up, the first real scenic overlook is reached. This is the point just before the two trails merge back together, at an elevation of roughly 7000 feet. The final 600 feet of ascent looks, well, far more daunting than a typical 600 foot climb. And, well, it is. 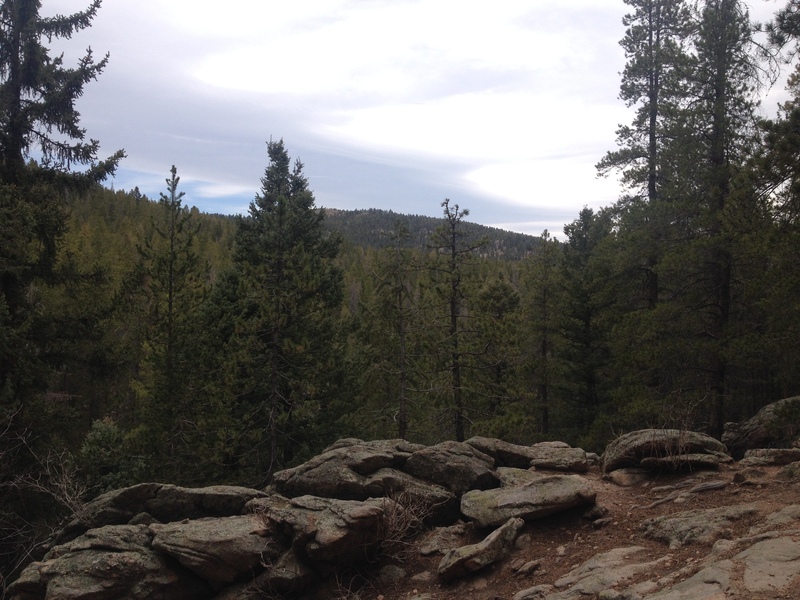 After a short flat area, following the scenic overlook, the trail begins to climb up a series of rocky areas, often referred to as “scrambles” by hikers. These parts require some strategizing, both on the way up and on the way down. 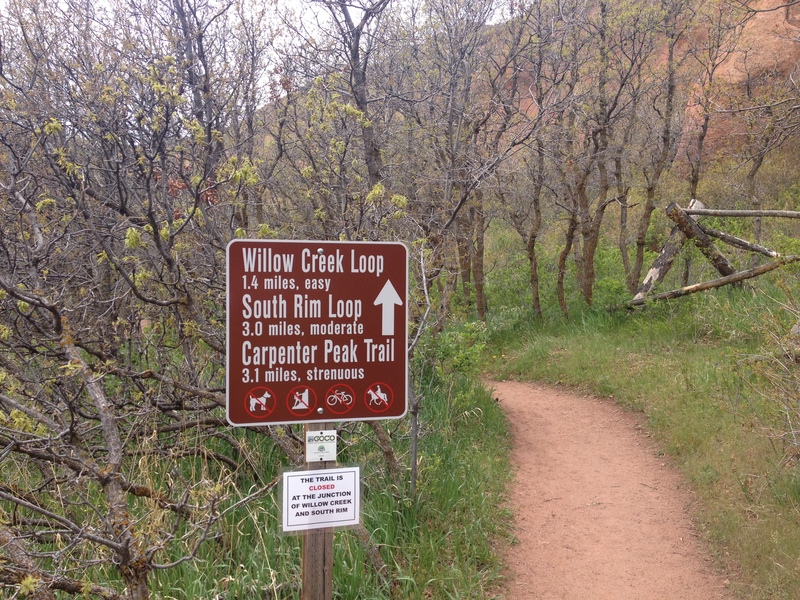 The final section of the trail is the one area where it is possible to get lost. On top of rocks, the trail passes by several lakes, where the sound of frogs can be heard, and is marked only by periodic signs 2-3 feet tall and the occasional standard rock pile (referred to as a Cairn). The summit is also just kind of a series of rocks, that need to be climbed over to reach the best lookout point. 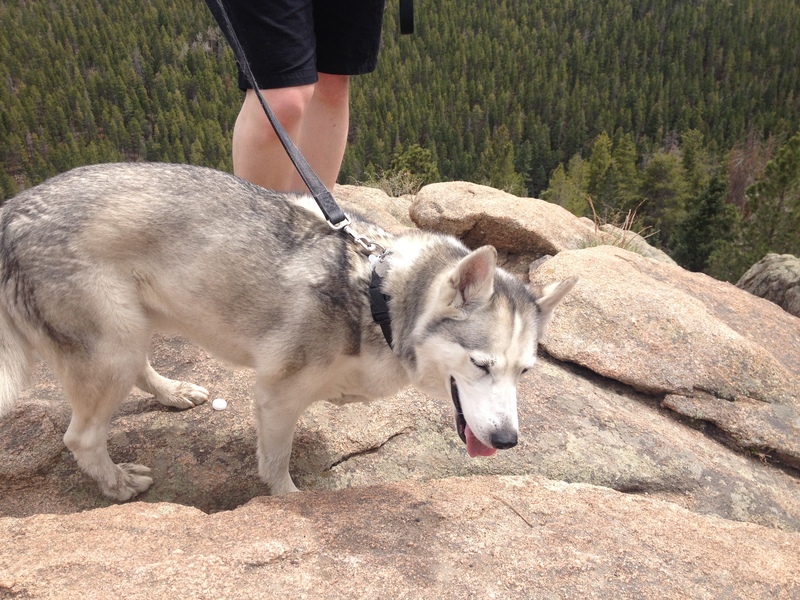 Being at the top of Greyrock Mountain is somewhat of an unique experience. In some ways, it feels just like being on top of the world, as noting in the immediate vicinity is at a higher elevation. However, out on the horizon to the West and Southwest reveals mountains whose peaks dwarf this one by over 5,000 feet. It feels like a metaphor for a certain life situation that nearly every human being will find themselves in at one point. The mountain has been climbed, a goal has been achieved, and there is reason to celebrate… temporarily. But, there is still a lot that must be done, and much higher aspirations. It is finishing a degree and moving on to start a new job. It is successfully navigating nine months of pregnancy now knowing that it is hard work to raise another human being. It is knowing that one has achieved as much as is possible in a current endeavor, and that there is something more meaningful, a higher calling, awaiting that requires a pivot, a new strategy, and renewed effort. 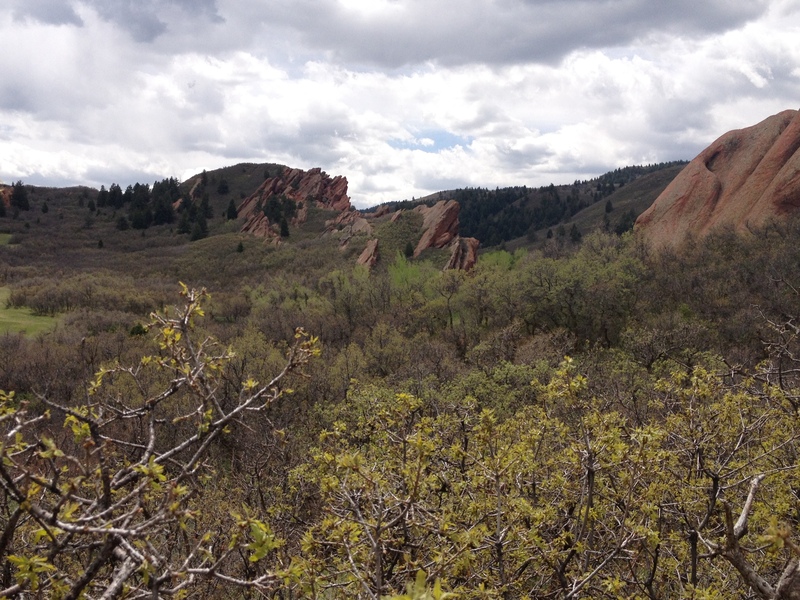 This entry was posted in Colorado, hiking, Rivers, seasons, Unique Rock Formations, wildlife and tagged adventure, butterflies, Colorado, Fort Collins, Grayrock Mountain, Hiking, May hiking, Poudre Canyon, spring hiking, travel, Unique Rock Formations on May 18, 2017 by Stephen Jaye. Before moving to Colorado, I experienced seasons in a completely different way. While there would be some anomalies, for the most part, winter was winter and summer was summer. Snow was something I experienced starting in November, through the winter, probably one last time in early April, and then not again for 6-9 months. Likewise, heat would be primarily confined to the summer months. In other words, I experienced being cold and being warm in two separate parts of the year. The experience would generally only mix during the in between seasons; mid-spring and mid-fall. In Colorado it’s all different. In Denver I’ve seen temperatures reach the lower 70s (23 C) in the middle of February. 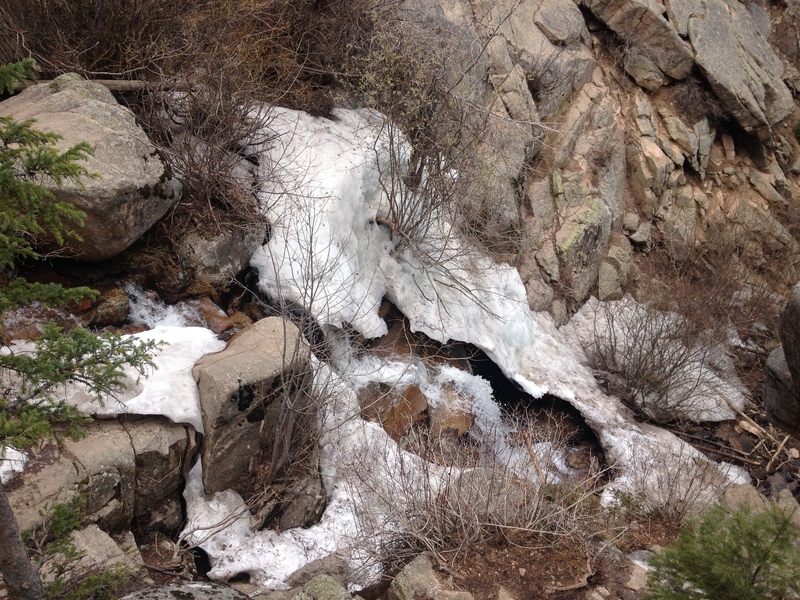 At higher elevations snow can fall nearly year round, and there are places where snowpack persists well into the summer. Saturday morning, the start of my second day in the Weminuche Wilderness, was a cold one. The chill had awoken me at 3:00 in the morning, when I reached for my warm hat and for the zipper to zip my sleeping bag all the way shut. At roughly 6:30 I woke up for good, and crawled out of the tent to find ice on the fly! Frost was found on many of the items we left outside, including this bear cannister. It warmed up fairly quickly at the campsite making me wonder why I did not simply stay inside the tent for another hour. All the weather forecasts we had looked at prior to this backpacking trip had indicated that a wet period was coming to a slow end, and that each day would get progressively drier (lower probability of rain). Yet, in the morning I saw something that would indicate differently; alto-cumulus clouds. These are puffy clouds with a base somewhat higher up in the sky than the clouds we typically see. On some storm chases, the presence of alto-cumulus clouds indicated the presence of moisture at higher levels of the atmosphere. 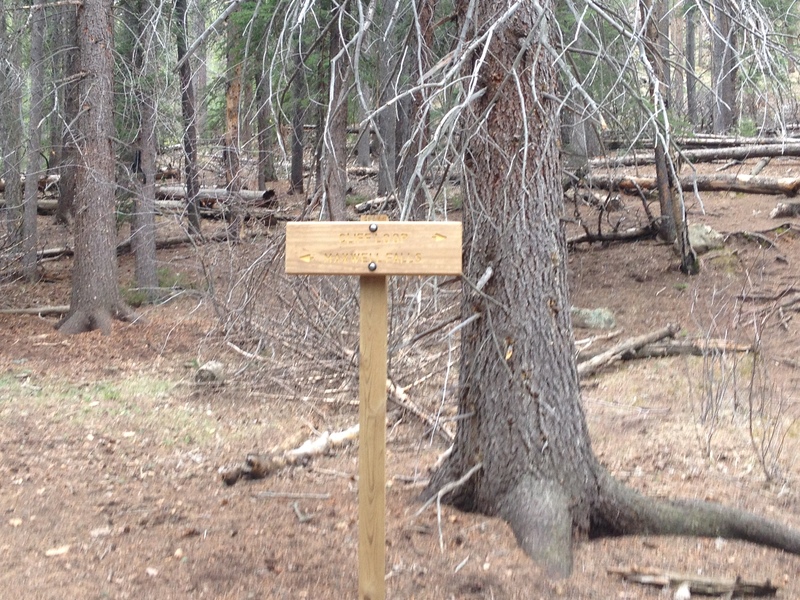 This was seen as a good sign on a storm chase, but, on a backpacking trip, is a bad sign. The first few miles of the day took us by a lake we are glad we did not chose to camp at the prior evening, and then back into the woods, where once again the trail was muddy kind of on-and-off. Headed farther up in elevation, towards the summit of the day, we approached the tree line, encountering several waterfalls. This one, by far, was the most pictureqsue. I did not even know the name of any of these waterfalls. In fact, I did not even verify that they even have a name. It didn’t even seem important at the time. We just liked what we saw. At that time, most of the conversation within our group revolved around whether we would see marmots in the nearby rocks, and speculation as to what elevation the tree line was at at this latitude. 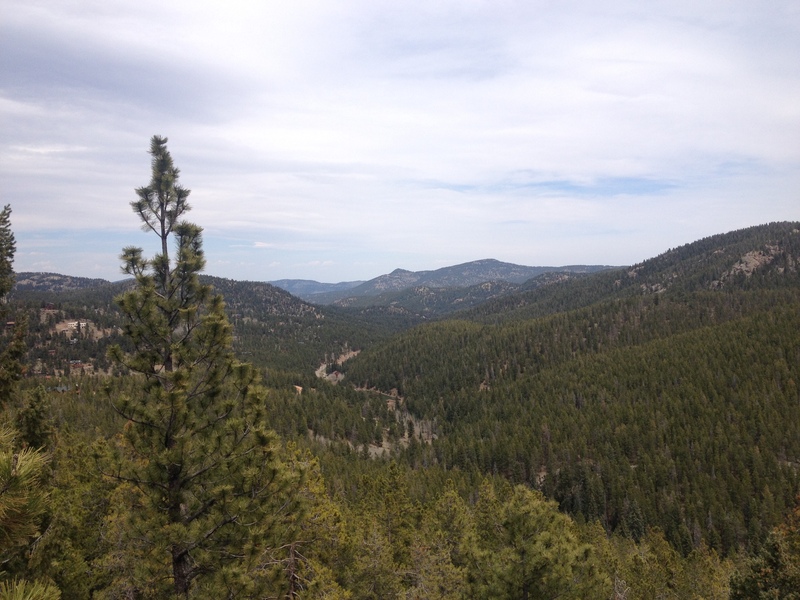 We followed the Rincon La Vaca (Cow Canyon) trail, which is also considered a section of the Continental Divide Scenic trail, above the tree line, and approached a rock formation we had been looking at since early the prior afternoon, “The Window”. This is where we decided to stop for lunch, at a lake where we could safely refill our water bottles. We got back to the lake, where our backpacks were, around 1:00. As soon as we prepared to move, and catch up with the rest of the group, it started to rain. A few minutes later, ice pellets began to fall from the sky. We briefly took shelter from the inclement weather, but eventually soldiered on through the not quite rain not quite ice, which would eventually change over to snow! I experienced a lot of this living in Chicago. I called it “precipitation jambalaya”. But, I never thought I would hike through it, and, well, am used to experiencing this in December, not late August! Once again, that thing about the seasons! The precipitation stopped right before we turned off the Continental Divide/ Rincon la Vaca trail, and started looking for the trail we would take back towards the reservoir, the East Ute Creek Trail. The scene looked familiar. The shape of the Ute Creek Valley where we were headed, with an open meadow surrounded by mostly dead forests on either side looked quite similar to the Weminuche Creek Valley we had hiked through the prior day. The trail, though, was hard to find. For the first mile we kept losing the trail, or we just saw it show up only as a barely visible line in the grass. We actually speculated as to whether or not this trail was so infrequently used and/or maintained that mother nature was basically starting to take it back! We hiked until roughly 5:00 P.M., and by the time the day was over we hike a total of 10.2 miles (11.2 for those of us that took the side excursion to “the window”). The last hour featured two crazy river crossings where we actually removed our socks and shoes. We found a campground near a small lake called Black Lake, where, once again, the weather took a turn for the worse. The rain started shortly after 6 P.M., and did not let up until after sundown. I rushed back into my tent! With all of the experiences of the day, the mixed precipitation at over 12,000 feet elevation, wading through water, and now, once again, more icy rain, I was cold! I was way colder than I wanted to be, and way colder than I ever imagined being in the month of August. For the first 20-30 minutes, I had to lie sitting still inside my sleeping bag, otherwise I would start to shiver. All I could think of were things that were HOT and DRY. I wasn’t even thinking of warm, pleasant experiences, like drinking rum on a beach in Puerto Rico at sunset. I was thinking about things that would immediately heat me up and dry me off; sheets that were pulled directly out of the drier, a sauna, Death Valley! With the hard hiking parts over with, I had originally hoped to have kind of a party with the group on Saturday night. We had even brought flasks, filled with whiskey for such an occasion. But, the weather changed my plans, as the rain continued and I continued to periodically hear thunder through the 7:00 and 8:00 hours. I also did something I never do on group trips; read. I joke I often bring a magazine or even a book, places, but never touch it. This time I actually read. It was the July edition of Adventure Cyclist. Fitting for the mood, thinking about warm places while trying to stay warm, I read full stories about cycling journeys through Morocco and Hawaii, both warm places! I guess regardless of whether you are in an urban setting or in the wilderness, life has a way of changing plans. In the city, it is some merger, or a random change in commodities prices. In nature, it is the weather. But, when it comes to rain, and anytime rain changes my plans, I always do my best not to complain. Even while I was bummed that I was not partying with my friends and hating how cold I was in my tent, I was mindful to remember that rain is necessary for the food we eat, the water we drink, as well as everything that made this trip possible in the first place. I do not want to be one of those people that fails to realize this, and cannot put up with a little bit of rain. 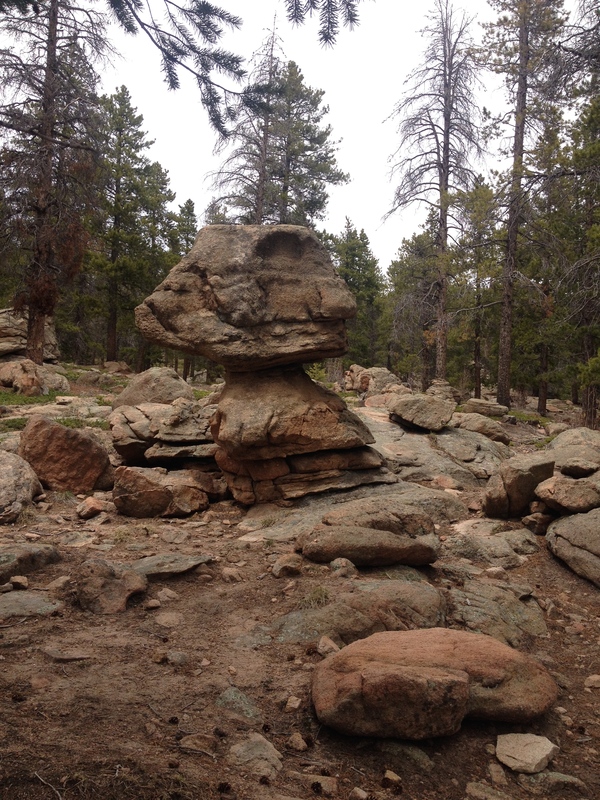 This entry was posted in backpacking, Colorado, hiking, Scientific Phenomenon, storms, Unique Rock Formations, Waterfalls, weather and tagged Backpacking, Colroado, San Juan Mountains, toughness, travel, Unique Rock Formations, weather, Weminuche Wilderness, wild, wilderness on August 30, 2016 by Stephen Jaye. The primary reason I love cycling as much as I do is that I am able to go places a significant distance away completely under my own power. For many years I have enjoyed commuting to work (now only 1.5 miles but formerly 6 miles), running errands, visiting specific places, and getting myself to and from specific events by bicycle. I feel the benefits are two-fold. There is the obvious money savings on fuel (and/or parking/ transit). In addition to the monetary savings, I find the exercise and time outdoors to have a been a great value to my health, both mentally and physically, over the years. 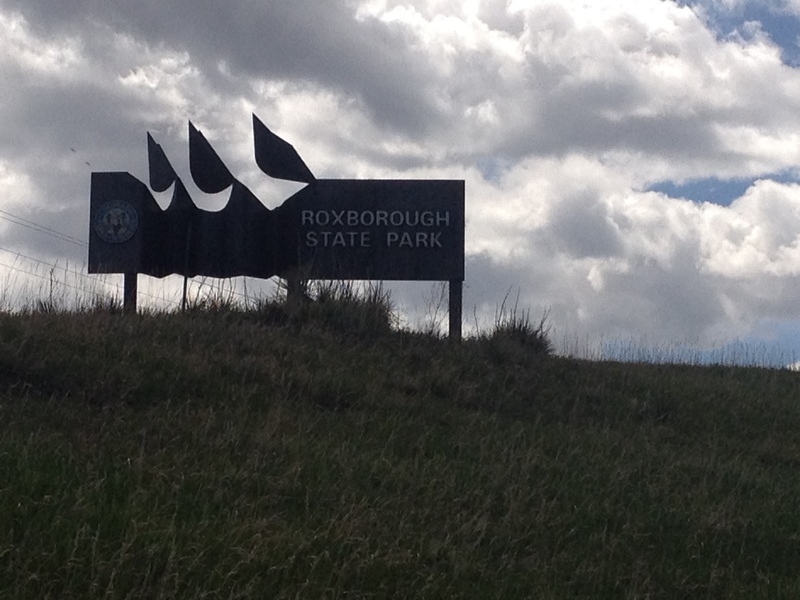 Roxborough State Park is about 30 miles South of central Denver. It is a place I had never really thought about visiting up until a few weeks ago when I was looking for new interesting places to ride my bike to, and wanted a ride that would be roughly two hours each way. 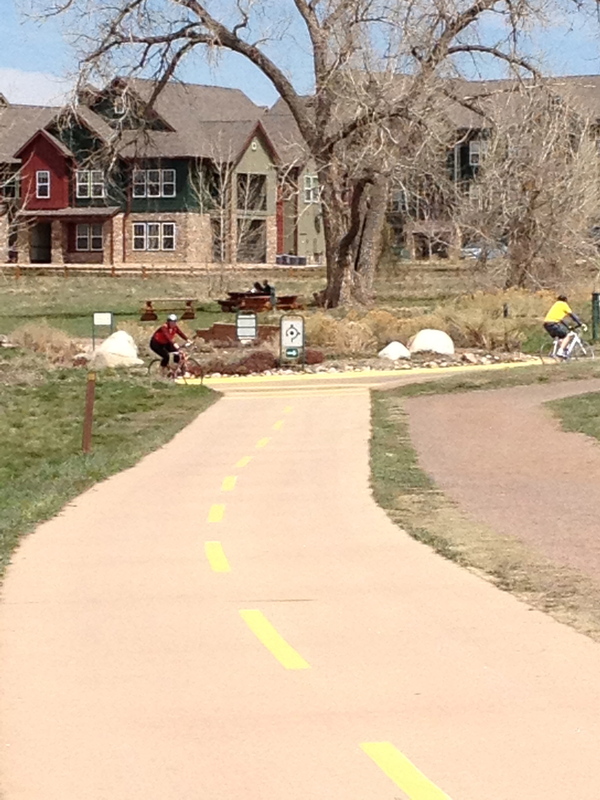 In Denver, it is possible to cover a good amount of distance quite quickly using the metro area’s bike trails, which bypass traffic signals, as well as most terrain features that would normally slow a cyclist down. 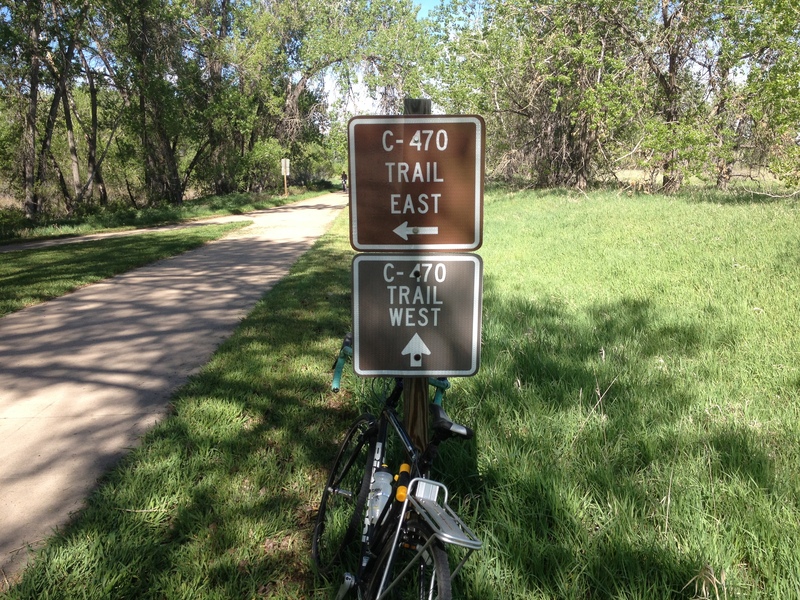 The Platte River trail can be followed from Denver southward to it’s terminus at the C-470 trail, about 16 miles south of downtown. The Platte River trail is quite flat, as it tracks right along the river. 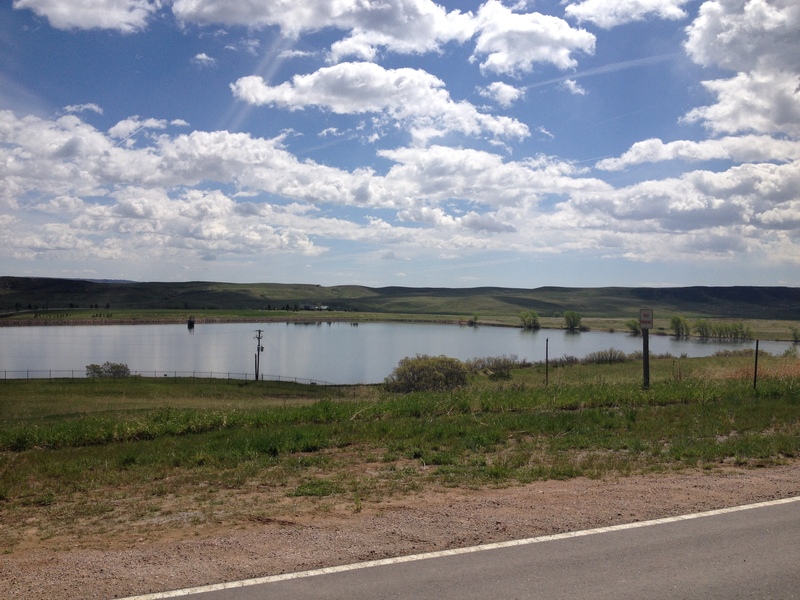 However, the C-470 trail, which roughly follows the highway (which is the Metro area’s outer loop), contains a lot more rolling hills. 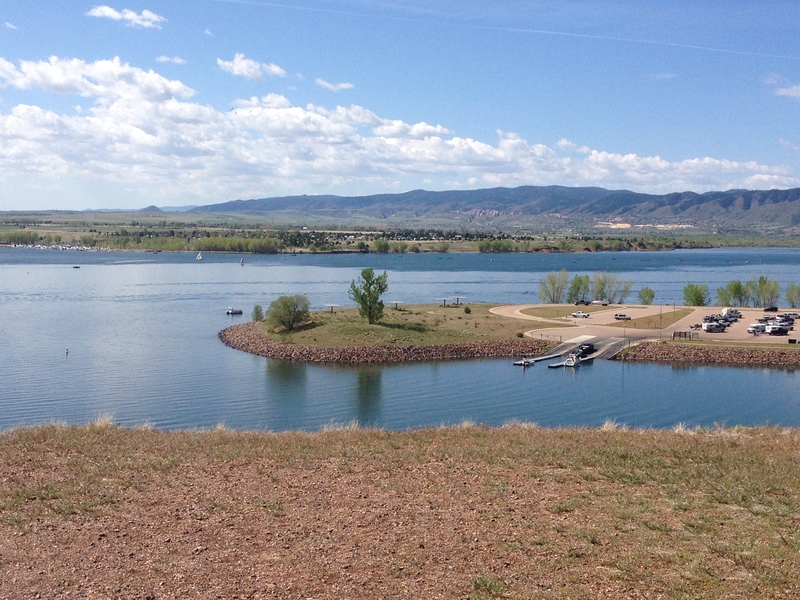 After several miles on the C-470 trail, I arrived at Chattfield State Park, a reservoir, and popular boating destination on the southern fringe of the metro area. A couple of years ago, this was the destination of a couple of rides I had done. 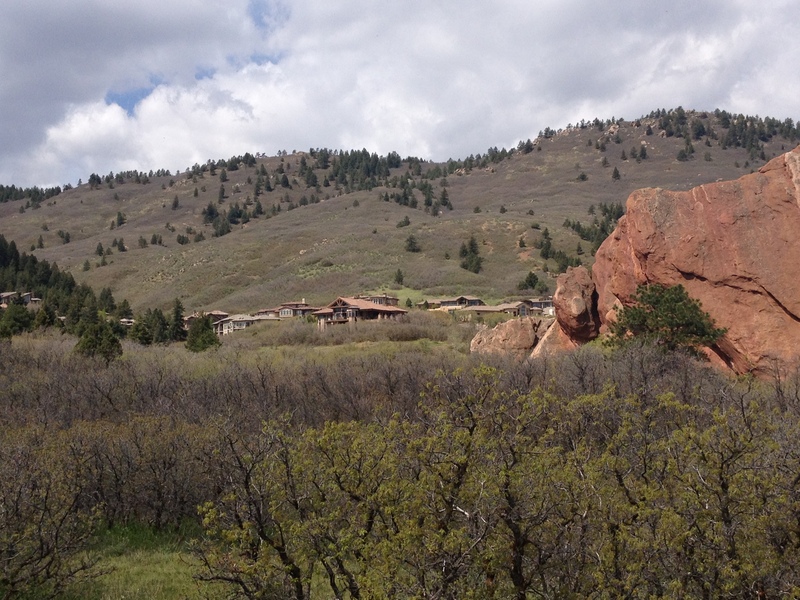 Last year, I did a ride to Waterton Canyon, the starting point of the Colorado Trail, a place I also rode by on my way to Roxborough State Park. It is somewhat encouraging to actually see my continued progress as a cyclist right in front of me. However, it also made me realize that there is one disturbing parallel between cycling (or any activity of this nature) and drug addiction; as the more I ride my bicycle, the farther and more intense of a ride I need to do to feel “satisfied”. This is beginning to feel eerily similar to the gradual increase in tolerance a regular drinker experiences, or the ever increasing doses many drug addicts demand over time. There was a fairly long line of cars at the entrance to this park. Luckily, I was able to bypass this line, saving me both roughly 20 minutes of time, as well as the $7 entrance fee to the park. The road from the entrance to the visitor center, basically the last two miles of the ride, was not all that fun. It was gravel and bumpy for much of the way. I felt uncomfortable going over 13 miles per hour. However, the park rangers were quite pleased that I did not try to use my bicycle on any of the trails, as they do not permit bicycles on the trails. At the visitor center, I realized that one of the main attractions of this particular park is the wildlife. 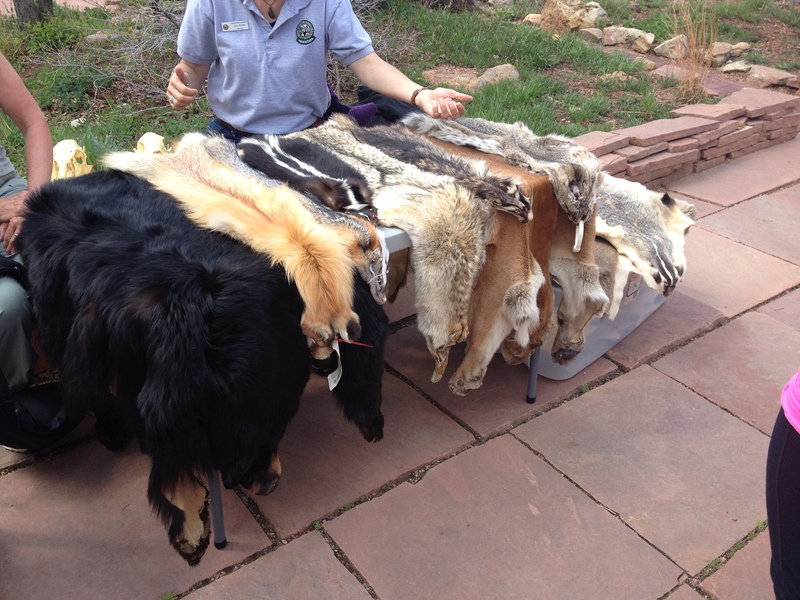 Showing people the fur and bones of dead animals seems like a somewhat sick way of presenting what the park had to offer to it’s visitors, but it was really neat to actually feel the fur of a black bear for the first time in my life! 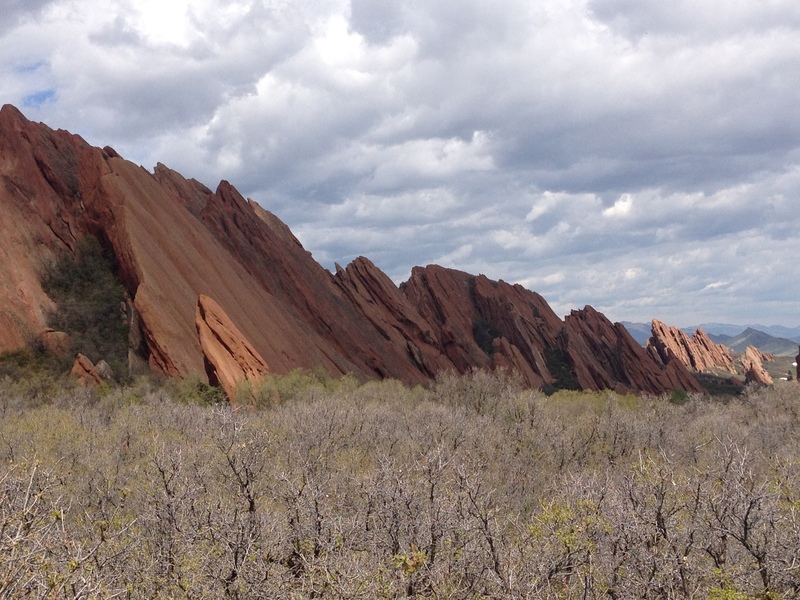 The rock formations at Roxborough State Park were actually quite similar to what I saw at Garden of the Gods. In fact, it is easy to see how the same geological processes created the rock formations that run up and down the edge of the front range, including the Garden of the Gods, the place, as well as places like Red Rocks. 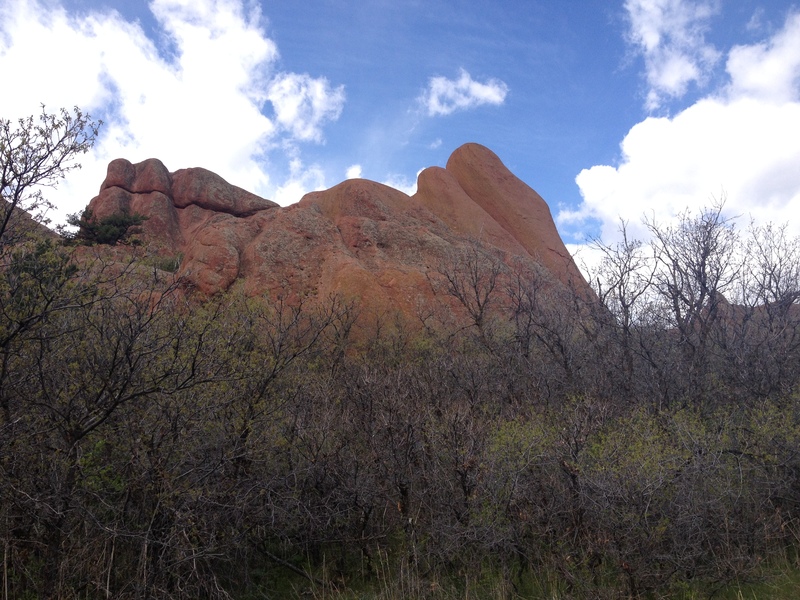 The park is also set up quite similar to Garden of the Gods. Both places make it easy for the average non-outdoorsy tourist to attain a good view of the park. Here, the Fountain Valley Overlook, a mere half mile from the parking lot with only a slight grade, provides views like the one at the top of this entry to those with no interest whatsoever of getting any exercise. 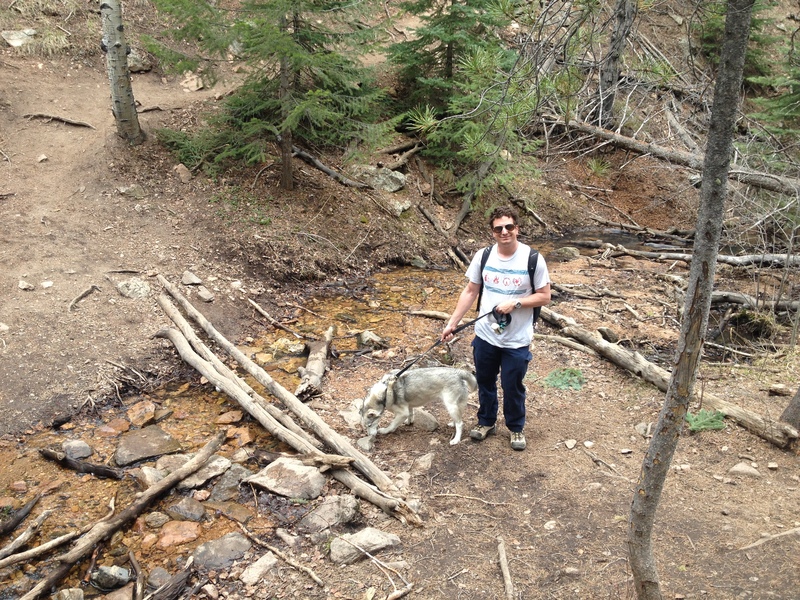 The park also offers somewhat more strenuous hiking. Carpenter Peak is roughly 1000 feet higher in elevation than the visitor center. I meandered around the park a bit, but decided not to do the more strenuous hike as to preserve my energy for bicycling. The only wildlife I encountered were these three deer, which is not particularly out of the ordinary. However, I did encounter them at a much closer distance than I typically do. For much of my time at Roxborough State Park, I was intrigued by these relatively short trees I encountered all over the park. These tress are quite different than the ones I typically see around Colorado. I later read, on the way out of the park, that there are some unique species of trees, as well as insects and animals, that live here due to the micro-climates created by the wind patterns that these rock formations create. 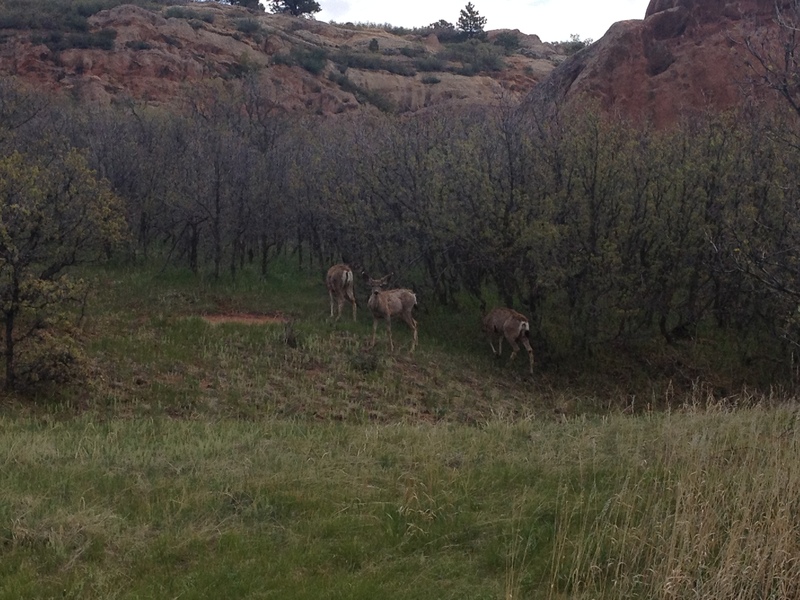 In fact, Roxborough State Park is considered a destination not only for it’s rock formations, but also for it’s unique wildlife. While marveling at the beauty of the park, and considering how awesome it might be to live in one of those houses that overlooks the place, the weather caught me off guard. 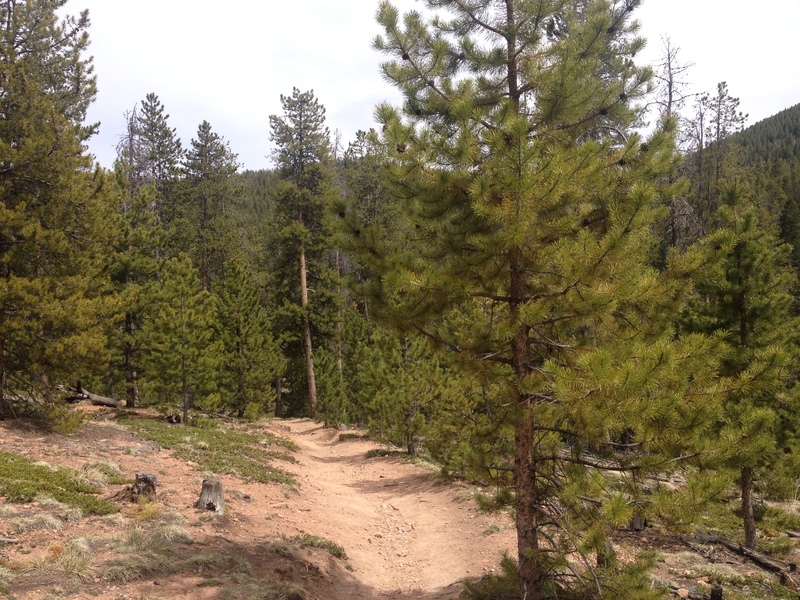 Prior to this ride, I looked at the forecast for Denver, which called for a threat of rain after 3 P.M. However, 30 miles farther south (and closer to the Palmer Divide), and roughly 1,000 feet higher in elevation, any threat of thunderstorms is naturally going to come earlier in the day. Right around noon, I noticed a few raindrops, and suddenly noticed the clouds beginning to build overhead. My bike ride home ended up being a race against mother nature, which I barely won, partially by blatantly ignoring the 15 mile per hour speed limits posted along the trail through South Suburban Littleton. With a little bit of help from the wind at times, I was able to make the 28 mile ride from Roxborough State Park in 100 minutes, returning home by 1:45 P.M. As someone who typically pays close attention to the weather, and understands weather patterns quite well, this was a somewhat embarrassing oversight on my part. However, I do feel a sense of accomplishment in making the return ride so quickly. And, once again, I was reminded of what I love most about cycling; being able to travel a good amount of distance, and even see my own progress on a map, all under my own power. 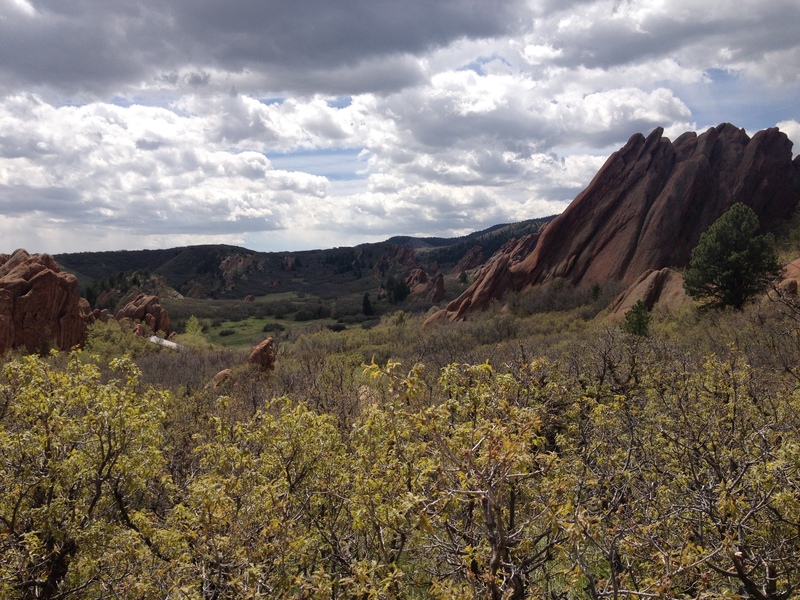 This entry was posted in Colorado, Cycling, Personal Accomplishments, State Parks, Unique Rock Formations, weather, wildlife and tagged Colorado, Cycling, Cycling, Douglas County, microclimates, Roxborough State Park, Unique Rock Formations on May 11, 2014 by Stephen Jaye. Often times in life, the reality of a situation turns out significantly different than the expectation. In fact, this has been one of the biggest challenges that I have had to deal with. Like many in my generation, I grew up in a time of prosperity and high hopes for the future, and was told by parents, teachers, etc. about the rewarding life that awaits those that generally do the right thing. While nearly every person who reaches adulthood has to come to terms with the fact that the world is unfair and that sometimes the wrong people get their way, those in our generation, particularly since the 2008 crash, have had to come to terms with a world where opportunities are fewer and harder to come by than what we had initially prepared for. 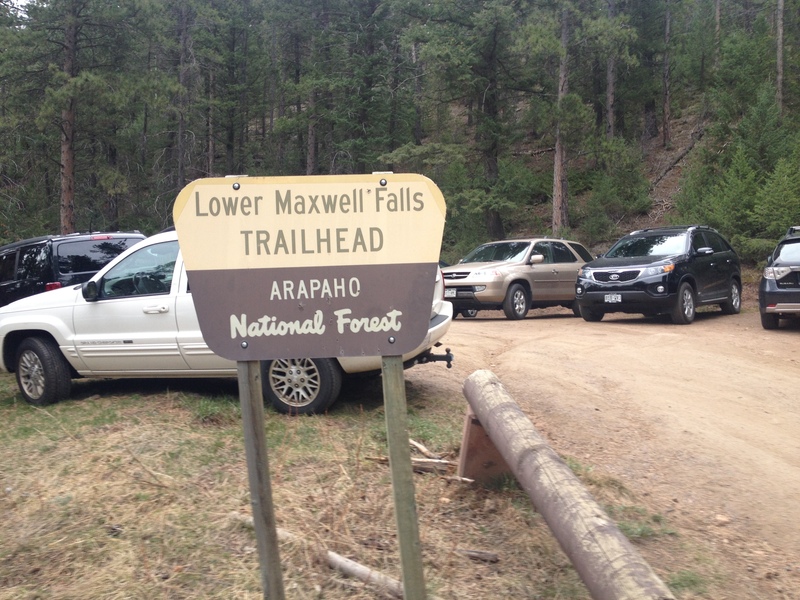 I went to Maxwell Falls, near Evergreen, CO, expecting two things that did not materialize. Most hikes in Colorado are an uphill climb from a trail-head to a specific destination (a summit, lake, natural feature). I had become so accustomed to this standard formula, that it had never occurred to me that this hike could be any different. The beginning part of the hike was rather uneventful. 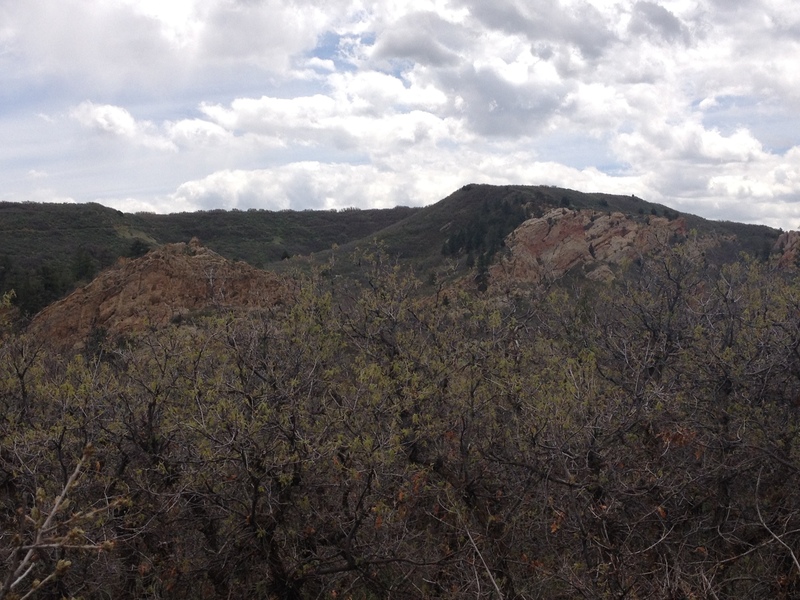 The climb was fairly moderate, and the trail would occasionally descend slightly to cross over creeks. This is kind of typical across Colorado, especially in places like Rocky Mountain National Park. 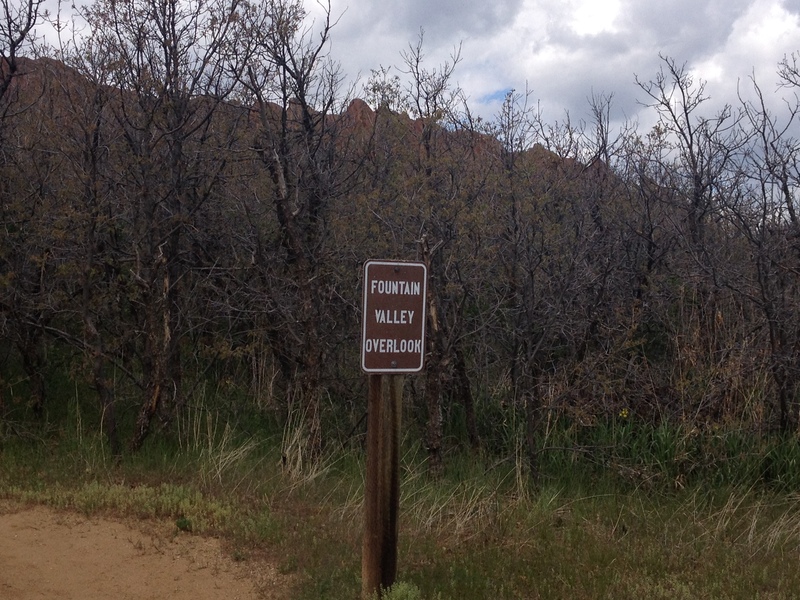 However, about a mile and a half, maybe two miles into the trail, we reached an unexpected junction. After a short section where the climb was more rigorous, I was surprised not only to find a spot where five separate trails seemed to merge together, but also find out (from talking to people) that none of these “forks” in the trail actually represented a part of the loop I had been expecting to encounter. The sign pointed to which way to follow the trail, which also, shockingly took us on a fairly rapid descent. This is not what I had become accustomed to, nor was it what I had expected. The descent was fairly lengthy too. It almost felt like we had descended halfway back to the trailhead’s elevation! It was there we finally encountered the loop we had anticipated. Facing unexpected junctions, getting routing advice from strangers on the way, and anticipating landmarks that take longer to reach than anticipated made me think of Lewis and Clark. On their expedition they would seek advice from many of the Native American tribes they encountered along the way. They also encountered a few river junctions that made them pause and investigate which way to go. 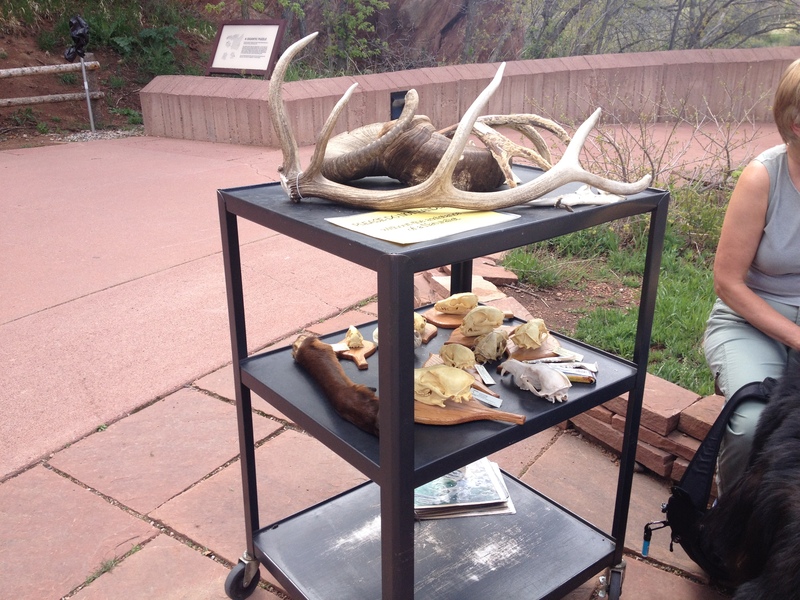 They came into their journey with little information about features such as Great Falls, and the Rocky Mountains. All they knew going into the mission was that these features existed, and they had a general idea of where they were. Both of these featured proved more challenging to pass through than expected. However, despite these unexpected challenges, they were still successful in their mission, and are still commemorated over 200 years later! The falls themselves also did not quite meet the expectations. The expectations I had about a waterfall hike largely came from hiking Brandywyn Falls in Cuyahoga Valley National Park, as well as viewing other falls in Rocky Mountain National Park, and Yellowstone National Park. In all of those situations, the trail would either arrive right at a scenic view of the falls, or a spur coming off the main trail would take hikers right up the falls. At Maxwell Falls, it was tough to find a really good view of the falls. We ended up crossing the river and making a somewhat dangerous scramble to a remote rock to see the falls from a somewhat different vantage point. It was still really neat to see the true power of water falling, even from a short distance, and to actually watch the residual spring ice melting right in front of our eyes. But, it was still far from what I had been expecting from my previous waterfall hiking experience. Despite not getting the picturesque view of the waterfalls, this hike offered some other neat features that I had not necessarily anticipated. After climbing up the Cliff Loop, we encountered views of the mountains that were much more splendid than I had imagined. It actually reminded me what I had been missing. 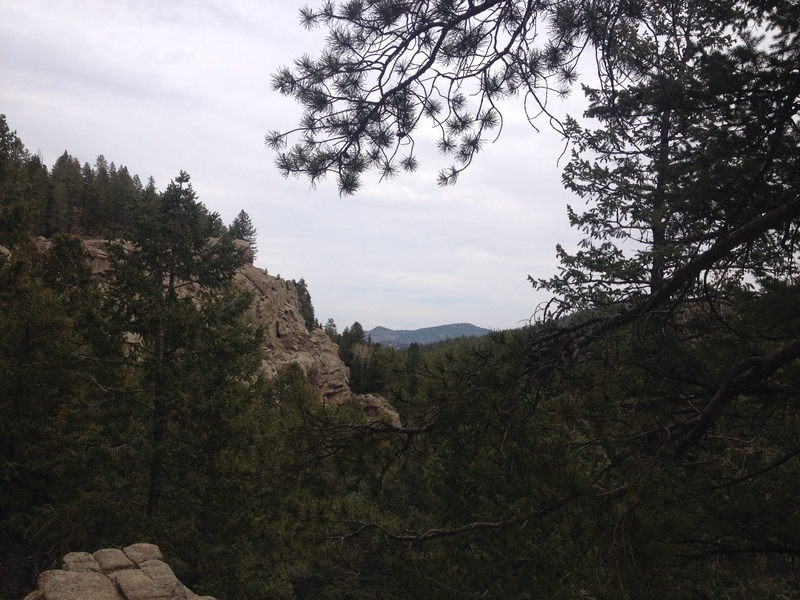 Prior to this hike, I had not gone on a hike for several months. A couple of months ago, I started a new job in Denver, and had been focusing on making that job, as well as my life in Denver in general, work. I love to travel, have new experiences, and explore new places. But, unfortunately, for a while, my life’s demands had taken me elsewhere. In addition to the splendid views at the higher points on the trail, which did turn out to be a series of ups and downs, we also encountered one of the most unique rock formations I have ever seen. This rock, I refer to as “Troll Rock”, as it looks quite like a troll. It was quite amazing, and was the subject of wonder for quite some time about what unique combination of all of the processes of nature could have lead to this particular rock shape. The end of the day saw the sun come out, and the temperature rise. This was an unfortunate turn of event for my Husky, who is built for colder conditions. One of the things that still amazes me quite a bit about life itself is how often the specific experiences we have at a specific time actually mirror what is going on in our lives, or in society, on a much larger scale. Today I expected a hike where I would climb up to a waterfall, be taken right up to that waterfall, and then make the ascent back to my car. Instead, I got periodic climbs and descents throughout the duration of the hike, and awkward scramble around strange rocks to largely overlook a waterfall, but also unexpectedly encountered wonderful views at the top and unique rock formations. In life, I expected to do well at school, generally stay out of trouble, and find a fulfilling job in my field of study. Instead, I found a world where the seemingly well deserving nice people end up reporting to control freaks that often find sinister ways to get ahead, opportunities do not always present themselves, and many of the specific jobs I had originally hoped for have some expected downsides to them. So, now, I am trying to make something completely different work, and thus far it is largely working out! It appears that sometimes the path to fulfillment is not the expected one, and the reasons we end up enjoying the things we enjoy are not things we had previously considered. Maybe what our generation as a whole needs to do is let go of what we had hoped for out of this world and remain open to finding fulfillment in a completely new way. 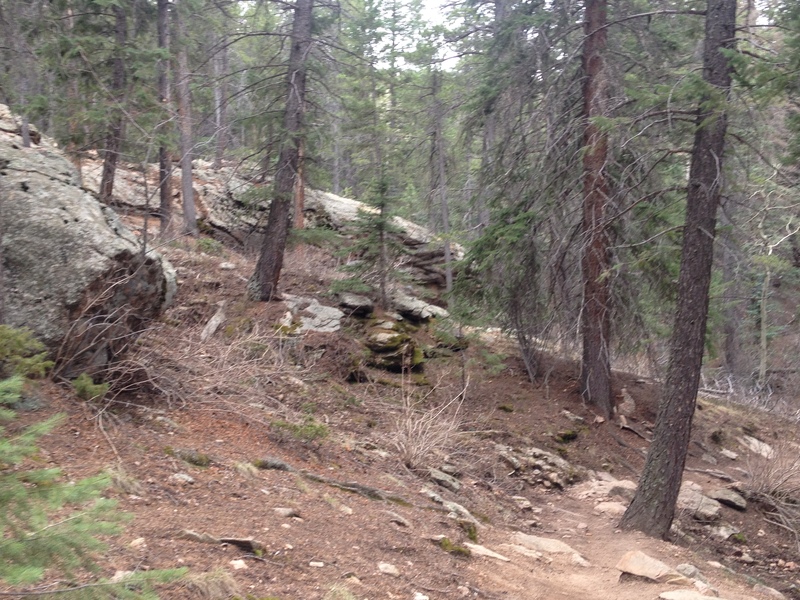 This entry was posted in Colorado, hiking, Uncategorized, Unique Rock Formations, Waterfalls and tagged Colorado, Evergreen, Hiking, Maxwell Falls, Unique Rock Formations on May 4, 2014 by Stephen Jaye.